Uterine fibroids* are benign (non-cancerous) tumors occurring in at least one quarter of all women. 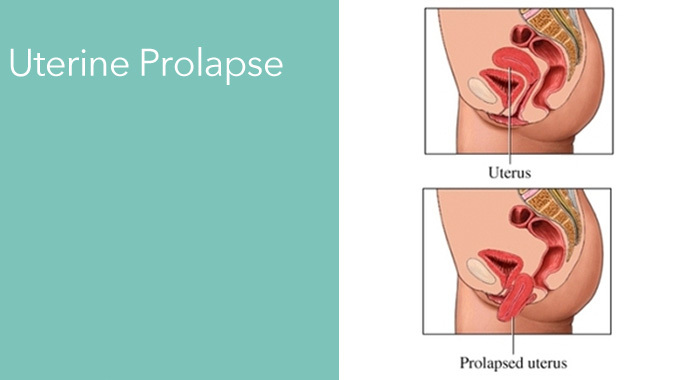 They can grow underneath the uterine lining, inside the uterine wall or outside the uterus. Many women don’t feel any symptoms with uterine tumors or fibroids. But for others, these fibroids can cause excessive menstrual bleeding (also called menorrhagia), abnormal periods, uterine bleeding, pain, discomfort, frequent urination and infertility. 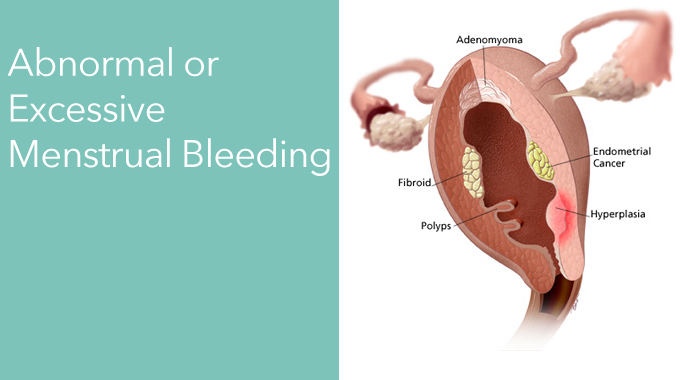 The following diagram depicts different types of fibroids that can occur. Surgical treatment for uterine tumors most often involves the surgeon removing the entire uterus via hysterectomy. While hysterectomy is a proven way to resolve fibroids, it may not be the best treatment for every woman. If you have the desire to preserve your uterus but not necessarily fertility, there are a number of prescription drug treatments that can help to stop continued fibroid growth or even shrink them. If you hope to later become pregnant, you may want to consider alternatives to hysterectomy like myomectomy. 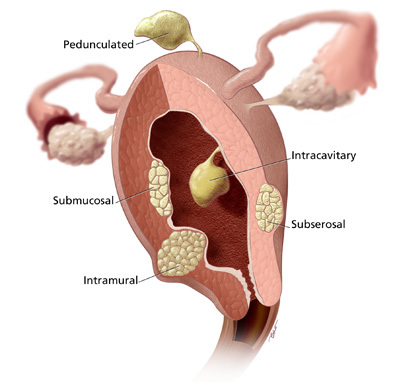 Myomectomy is a uterine-preserving procedure performed to remove uterine fibroids. Typically they are performed abdominally and less often laparoscopicly. Laparoscopicly performed myomectomy has an advantage of early return to work, however, it is common to have increased blood loss from this procedure. Da Vinci robotic myomectomy have improved success over laparoscopiclly performed myomectomy with less blood loss and reduced likly hood of failed procedure.